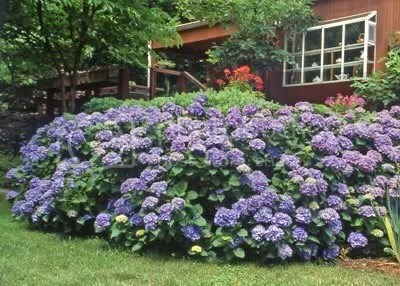 These hydrangea bushes are in the Bethesda, MD, garden of friends, and they’re just a small part of the wonderful expanse of blooming bushes that my friends cultivate. For bright blue blossoms, the soil must be kept acidic. You are currently browsing the blog archives for the day Wednesday, May 31st, 2006.